Tina Shackleford teaches stage and production management in the School of Drama. 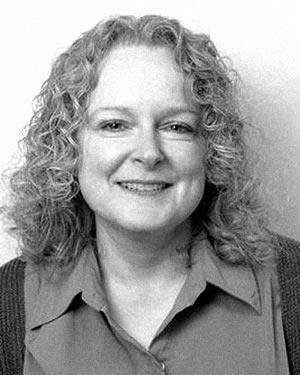 As a professional stage manager, her credits include productions with La Jolla Playhouse, Seattle Group Theatre, Saint Michael’s Playhouse, The Clarence Brown Theatre, Zachary Scott Theatre Center, Actors Theatre of Louisville, Riverside Theatre, Dallas Theater Center, and the Shakespeare Festival of Dallas, as well as collaborations with Theatre de la Jeune Lune and the Latino comedy group Culture Clash. She was also Production Stage Manager at Iowa Summer Repertory and the Illinois Shakespeare Festival. Directing credits include new work at the Iowa Playwrights Festival and the David Mark Cohen New Works Festival. Tina recently co-chaired a national committee to establish and formalize curricular standards for BFA programs in Stage Management across the country, which has been adopted by NAST. She has taught at the University of Iowa, the University of Texas, and the University of California-San Diego and is a member of Actors’ Equity Association, the Stage Managers Association and USITT’s Stage Management Mentor Project.